Intellectual Thoughts by Sanjay Panda !!!!! : Can NSG be far behind? as India enters MTCR. Can NSG be far behind? as India enters MTCR. 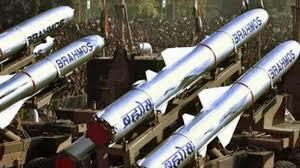 India became the 35th member of the Missile Technology Control Regime (MTCR) as the members of the international anti-proliferation grouping agreed to admit India in the regime. The decks were cleared for India’s entry when it joined the Hague Code of Conduct against Ballistic Missile Proliferation. MTCR is the first step for India’s entry in the four export control bodies, including the NSG (essentially founded in response to the Indian nuclear test in May 1974) , the Wassenaar Arrangement and the Australia Group. Entry & membership of few of these groups would end decades of denial of some technology & further will enable India to become a major supplier/player in the global missile market, the technology available in house now. Over the years, it has developed technology that allows it to make missiles that precisely hit the targets. While the NSG is focused on stemming the proliferation of nuclear weapons, the Wassenaar Arrangement establishes lists of items for which member countries are to apply export controls. Australia Group formed in 1985 prompted by Iraq’s use of chemical weapons during the Iran-Iraq War. Only a few days ahead of the MTCR clincher, India’s bid to enter the much-coveted Nuclear Suppliers Group (NSG) was denied by China, a member in the group, by blocking it. China, has been playing the spoilsport since long but an entry to MTCR should not be long before India takes its due & deserve seat in the NSG which Is been pending since long.